How do homeschoolers apply to the University of California system? Do you have to complete the UC a-g requirements? What is admission by exam and admission by exception? What do experienced homeschoolers recommend when doing the UC application? Join host muse Farrar Williams as she interviews Simplify muses Jill Harper and Suji Rajagopal on their experiences with homeschooling from K to UC college applications. Be sure to read our previous blog post, From Homeschooling to a UC School, too! 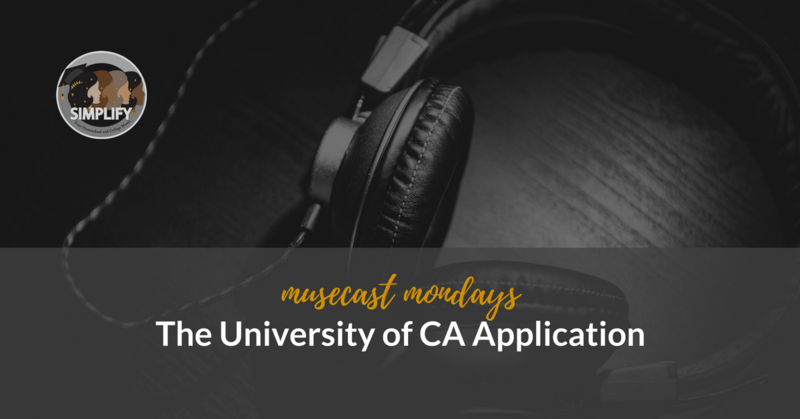 We had a lot of fun recording our first MuseCast (and it shows…warts and all!). Heartfelt gratitude to Decca Harper for lending us his amazing compositions and to Tru Harper for his patience and skill in editing our (many) technical errors. Previous StoryHelp! My Gifted Child Does Not Fit Anywhere!